Ascott Analytical Equipment was established almost 30 years ago as a specialist manufacturer of corrosion test cabinets, today they are one of the leading suppliers in the World, their business is totally focused on corrosion test equipment, they don’t make anything else, and this provides a degree of expertise which their competitors can’t match. The company LaborTech is one of the leading companies in development and implementation of modern, customized machines for Material Testing. Founded in 1995, LaborTech started its business by modernizing existing Testing Machines allover the Czech Republic, Slowakia and Poland. Thanks to the own engineering capacity, the high-skilled staff and the longtime experiences, LaborTech was requested to support their customer demands and started to develop more and more customized solutions. Today LaborTech is a european manufacturer of own developed high-quality machines for Material testing and specialized in tailor made solutions, perfect suitable for all kind of applications in industry, production, research and development. The wide range of provided instruments is starting from tensile and compression tester, dynamic testing machines, torsion tester, balancing machines, drop weight tester, pendulum impact machines, notching machines and many more. 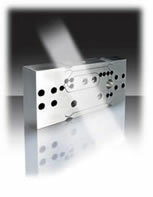 Q-Prime is the trademark of Müller & Mill Quality Instruments Europe GmbH. More than 20 years we evaluated the market and selected the best instruments from the markets. Independent if industrial scales, balances or laboratory equipment, Q-Prime instruments are always combining best quality for a fair price. Establish in 1875 in Kyoto, Japan, Shimadzu Corporation is one of the pioneers of scientific precision instruments. Shimadzu started with the development and production of its own balances already in 1918. Since that time many innovative products were launched. As a highlight Shimadzu patented already in 1985 the latest high-tech solution, the OPF-sensor (one piece forcecell) better known as UniBloc-Technology. Shimadzu balances combines latest technologies with best weighing performances for an affordable price. Since 2014 Müller & Mill Quality Instruments Europe GmbH were dedicated as the responsible general distributor for Shimadzu weighing technology in Europe. Since Olympus was founded in Japan in 1919, it has become a leading manufacturer of innovative optical and digital equipment for the healthcare and consumer electronics sectors. For over 90 years we have led the way in designing endoscopy and microscopy products, medical and industrial equipment, as well as cameras and voice recorders. 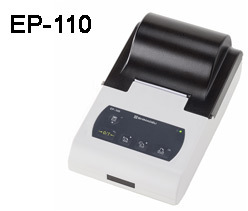 Olympus microscopes are world leading regarding the optics, quality and reliability.